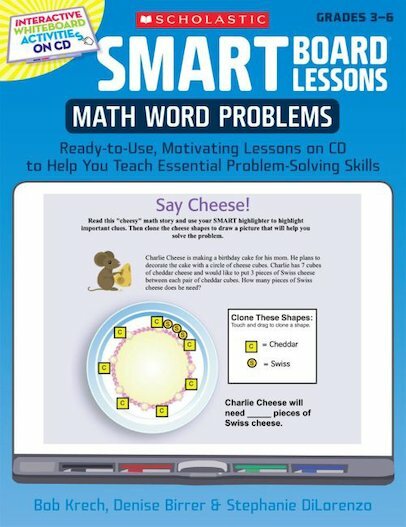 Liven up math lessons with this book and CD that take full advantage of the SMART Board’s interactive features. The CD contains eight units on key problem-solving strategies, such as guess and check, draw a picture, look for a pattern, use logical reasoning, and more. Students can easily draw, move, highlight, and underline text right on the board. Step-by-step mini-lessons in the book correspond to the Notebook files on the CD. A surefire way to motivate and engage every student! For use with Grades 3–6.